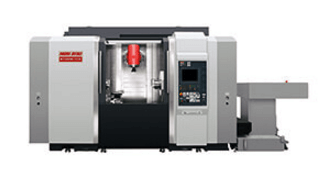 Your Mori Seiki or DMG Mori spindle is in expert hands with the factory-trained, Big Plus–certified technicians at High Speed Technologies, Inc. We have repaired dozens of Mori Seiki or DMG Mori spindles to original factory performance. Need it fast? We can repair and rebuild your spindle within three days of customer approval, and we offer reduced pricing for longer lead times. All spindle repairs are backed by a complete warranty and our 30-year reputation of OEM-quality spindle repair. For expert Mori Seiki or DMG Mori spindle repair, email using the form or call us at 1-603-483-0333 for a quote. We are fast, experienced, and our work is guaranteed. At HST our factory trained technicians are experts at repairing Mori Seiki spindles. Here is a list of Mori Seiki spindles that we can rebuild to OEM like new condition. All of our Mori Seiki repairs are covered under our 1 year warranty.